Mummy and Me hamper in pink – New mums’ need pampering too! 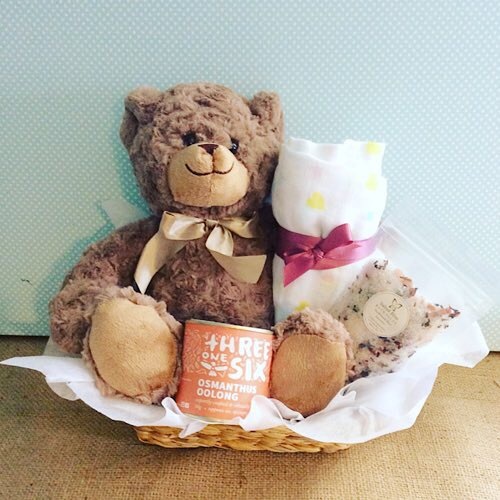 This luxurious hamper includes a soft teddy (teddy will vary according to availability) and a baby wrap in suitable colours for baby and for Mum it contains a Threeonesix tin of tea and a Salted Bliss bath salts sachet . All beautifully presented in a keepsake basket. Deluxe value includes a box of chocolates.